The Council of Europe’s Human Rights Commissioner Dunja Miyatovich has published a report following her visit to Armenia in September 2018. The report focuses mainly on women’s rights, gender equality and domestic violence, as well as human rights of vulnerable and minority groups, also human rights violations of LGBTI community and recommendations for their protection. The report urges the Armenian government to clarify their position on human rights protection. The Commissioner encourages the government to take a prompt and firm stance against all instances of violence, hate speech and hate crime targeting LGBTI persons, including LGBTI activists, and ensure that any such incidents are duly condemned in public statements, investigated and prosecuted. In addition to adopting legislation criminalizing hate speech motivated by SOGI (sexual orientation and gender identity), and making SOGI-motivated hate an aggravating circumstance in criminal law, the Commissioner recommends that the authorities conduct training and awareness-raising in this area for law enforcement officials and judges. Homophobia remains widespread in the Armenian society, according to the report. Armenia ratified Protocol No. 12 to the European Convention which provides for a general prohibition of discrimination, which entered into force in 2005. General equality and anti-discrimination clauses are included in Articles 28 and 29 of the Armenian Constitution; however, these provisions do not make any reference to sexual orientation or gender identity. 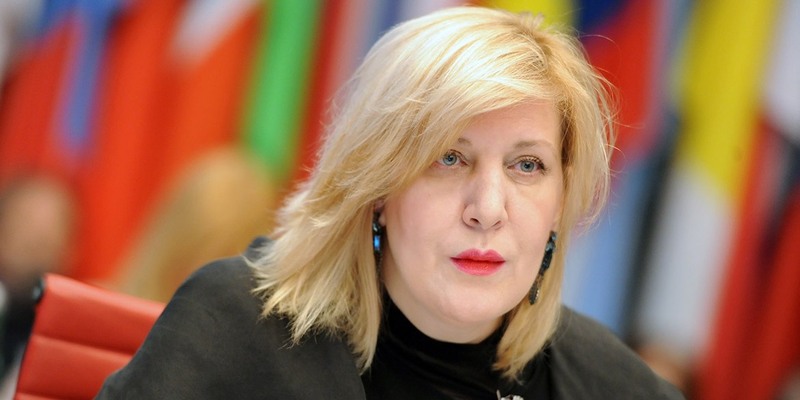 The Commissioner recalls that the Armenian authorities are under the obligation to ensure that no-one is discriminated in any domain of public and private life in Armenia, and to this end she reiterates the recommendation that the authorities should adopt a comprehensive anti-discrimination law, which in her view should specifically refer to sexual orientation and gender identity as a prohibited ground for discrimination, in order to make it as effective as possible. The Commissioner is highly concerned by the introduction in the parliament of bills targeting the LGBTI community. Not only are such bills likely to be used as instruments to the detriment of the rights of LGBTI community in Armenia, but they are also a distraction from other core issues – such as poverty – that the country urgently needs to tackle, not least due to their impact upon vulnerable. She urges the National Assembly to unequivocally reject these and any other legislative proposals which may infringe on the fundamental rights of LGBTI persons to freedom of expression. The Commissioner was nevertheless encouraged to learn that, in early 2018, the Ministry of Justice along with NGOs, prepared an anti-discrimination bill in the form of a draft law on legal equality. However, following the events of April-May 2018 and the ensuing change of government, this legislative process has stalled; currently active work on resuming the process is underway.